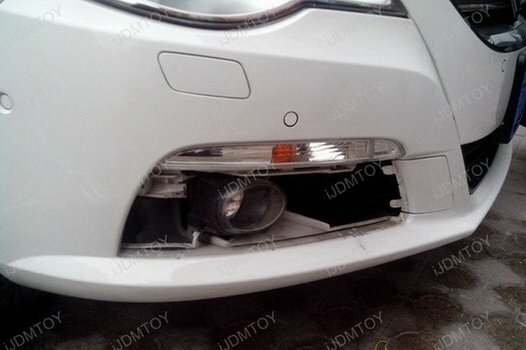 Let's learn how to install the 2009-2011 Volkswagen CC switchback LED DRL turn signal lights. The LED daytime running turn signal lamps feature switchback technology that shifts between colors seamlessly. Running as daytime running lights by default, the LED assembly will shut off the white LEDs and flash in amber yellow only when you engage your turn signals. When you complete your turn, the amber yellow light switches back to the xenon white running light. With the switchback LED daytime running turn signal lights, you'll give your Volkswagen CC a smart upgrade that will elevate its style and impress other drivers. Unbolt the single screw securing the fog light bezel. Take out the fog light bezel. 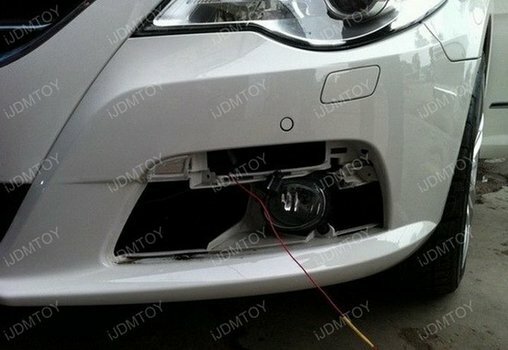 Remove the stock turn signal lamp, unplugging the turn signal harness. Replace it with the new switchback LED daytime running light/turn signal lamp assembly. 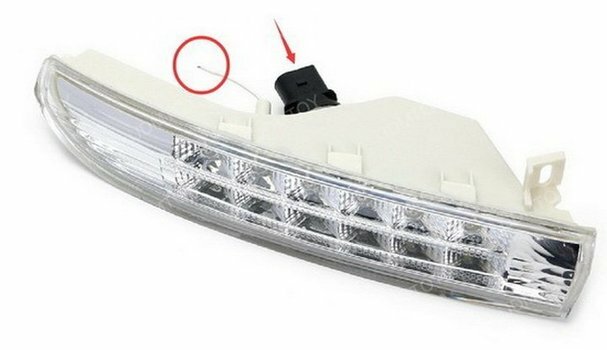 Plug the stock turn signal light harness into the switchback LED DRL turn signal light's black socket. Extend the wired circled below using the included wiring set. 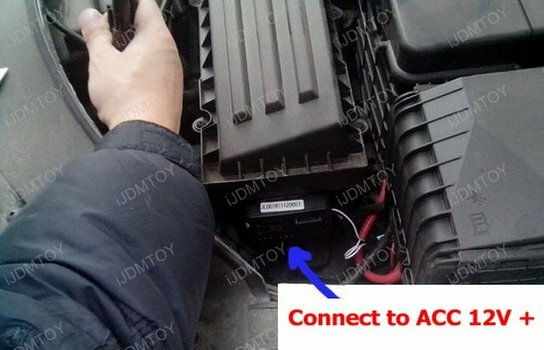 Connect the extended daytime running light wire to the ACC 12V positive connection. Test the daytime running light and turn signal light to make sure each function works properly. Once you have, put the fog light bezel back on. Repeat steps 1-5 on the other side. Enjoy your Volkswagen CC's brand new switchback LED daytime running turn signal lights! 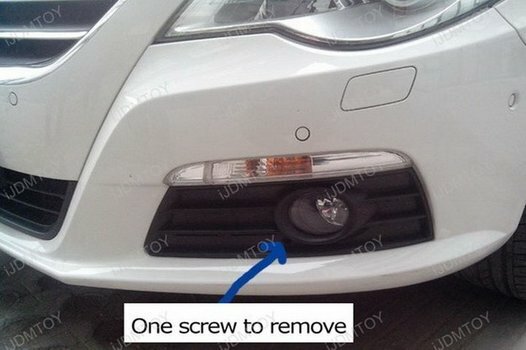 Find this and more OEM fit LED daytime running lights at store.ijdmtoy.com today.